If you’ve been dreaming of a straighter smile but the thought of wearing metal braces gives you pause., we have a solution! 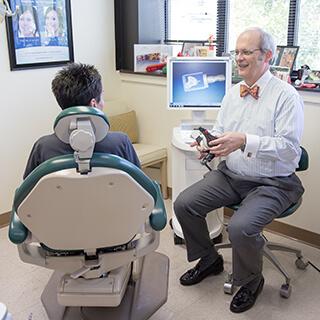 At Dr. Mitchell’s office, our team offers orthodontic treatment that prioritizes esthetics first, helping you correct crooked or gapped teeth without sacrificing the natural, attractive appearance you need to feel confident in your day-to-day life. If you’re ready to schedule a consultation, – contact either our Fayetteville or East Point, GA location today! ClearCorrect doesn’t rely on the traditional “bracket and wire” braces model – instead, patients are provided with a custom-made set of clear aligners that are designed to gradually reposition your teeth in phases. Each aligner represents a different stage of your changing smile; all the patient needs to do is wear them as directed (usually for about 2-3 weeks each) before switching to the next in the set. ClearCorrect offers patients several significant benefits, the biggest one being that the aligners themselves are clear (just like the name) and very subtle against the smile. They fit comfortably over the teeth, and people are unlikely to notice them. Instead, all they’ll see is you and your smile! The aligners are also conveniently removable, which allows you to eat all your favorite foods and brush and floss just like you would before. If you’re hoping to achieve dramatic orthodontic results in record time, Six Month Smiles might be the right choice for you. 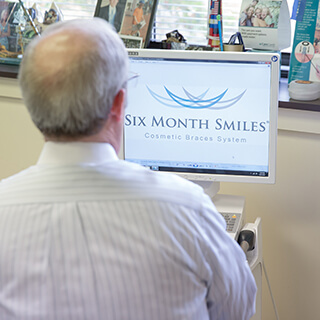 Just like the name implies, this procedure focuses only on shifting the teeth that show when you smile; this allows Dr. Mitchell to reduce your treatment time down to an average of only six to eight months. We utilize clear brackets and white wires to create a pleasing and hard-to-notice appearance, allowing your mature, polished image to shine through during treatment. The ideal candidate for Six Month Smiles is an adult who is ready to straighten their front teeth and start enjoying their life to the fullest. We look forward to seeing you for a consultation!